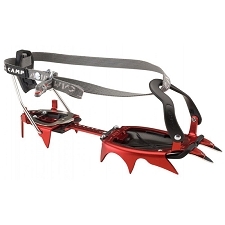 Classic crampons the Ski Tour New Matic have are compatible with semi−automatic and automatic boots. 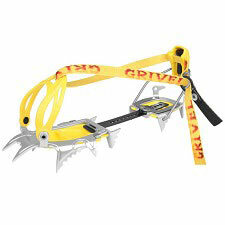 This is a classic model by Grivel designed for trekking and ski touring. 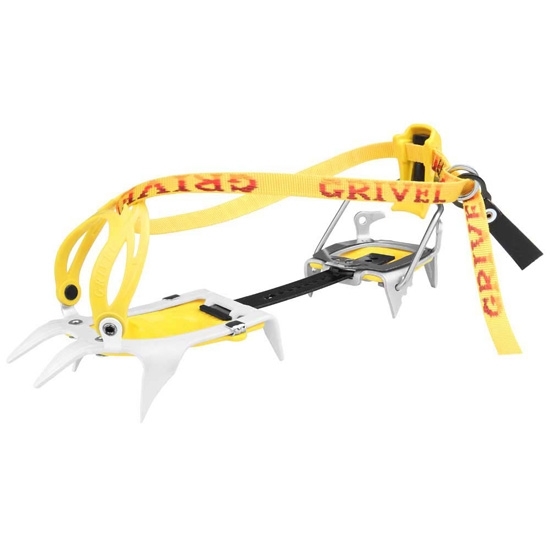 The front part is made from steel offering better grip on icy slopes and the heel piece is made from a lightweight alloy to reduce weight. They compact and light making them easy to store away. 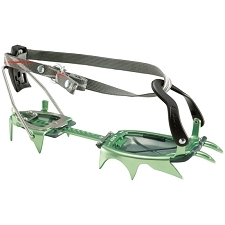 The rear attachment is height adjustable and the strap has a double ring fixing system. Made from steel in the front and light alloy in the heel. Front piece with 6 points. Heel piece with 4 points. Flexible and adjustable curved bar. Approx weight 715 g the pair. 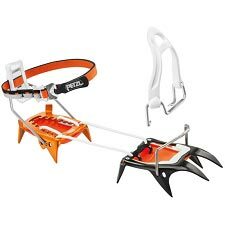 Customer Opinions "Ski Tour New-Matic"